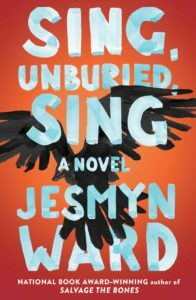 The ghosts of racism (Mississippi’s Gulf Coast and Delta regions, past and present colliding): Jesmyn Ward’s brilliant Sing, Unburied, Sing woke me up nights. Of all the books I’ve blogged about, this is the one most affecting. Creative writing professor at Tulane University Jesmyn Ward – who just won a Macarthur Genius Award and is a finalist for the 2017 National Book Award having already received it in 2011 for Salvage the Bones – has created a work of art that’s an activist’s plea for racial justice, equality, dignity. She speaks for all the oppressed, marginalized people who’ve been victims of bigotry, violence, racial profiling, economic injustices and other forms of discrimination and prejudice not only in America’s Deep South – where all the author’s books are set, specifically in Mississippi her home – but for swaths of our country where people are also suffering and stereotyped. “The rotten underpinnings of the South anchor the whole damn country, like the swampy bottom of the Mississippi River delta. And now we are all sinking in it,” she wrote in a 2016 piece, This Was the Year America Finally Saw the South. Clearly, this is not a light-hearted novel. 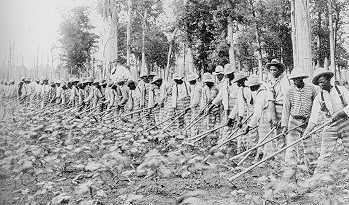 The songs that it sings are painful ones, sorrowful like the Sorrow Songs sung by slaves on plantations and at Parchman Farm – Mississippi’s notorious State prison with its legendary brutality said to be worse than slavery – wrenchingly portrayed in the novel. An immoral past that lurks and crashes into a troubled, troubling present, embodying the racist soul of the novel. Lest we forget, Mississippi Blues music originated from the Delta. The author writes like a poet. Not just rhythmically but in words that pack a lot of meaning into a few. At 285 pages, the novel feels longer as we stop to contemplate the implications of veiled words or a phrase, subtexts and emotions. Illustrative is the lyrical title and the word unburied, which took me almost to the end (page 233, to be precise) to fully grasp its full import, making the novel an ideal choice for book clubs. Moreover, it could trigger honest, deep-set feelings for this fiction is as real and as forceful as it gets. Hot like Mississippi’s heat. My night wakefulness brings to mind what Pat Conroy revealed how he felt about slavery when he read Toni Morrison’s Beloved: he got “nightmares”. In fact, some are calling Jesmyn Ward the Nobel Prize winner’s contemporary. Opening with a chapter on the graphical slaughtering of goats, the author forewarns that her story of a poor black family living in bayou country is going to be harsh, that her story will be Black or White, not gray. Yet what bubbles underneath the surface is nuanced, boiling with anger, grief, despair, disillusionment, confusion, waiting to erupt like Yellowstone’s geyser. The surfacing happens most of the time in cringing and subtler ways as everyone in this family is hurting, building to several out-of-control explosions. The most central, setting off the most reactions, is brought about by a car trip from Mississippi’s south to the north, to that torturous prison in the Delta. Some describe the novel as a “road trip.” It is in the sense that its intent is to carry home the white father of the two children in the family, incarcerated for three years. But this is not a trip that frees. And it’s not the kind of high-spirited trips you might immediately think of like Thelma and Louise or Jack Kerouac’s rollicking classic, On The Road. No, this is a bedeviled trip from start to finish, where the spirits are dark and ghostly. Speaking of ghosts … Two of the characters who inhabit the novel powerfully and importantly are ghosts: Given and Ritchie. Ritchie’s spirit is the more prevalent and invasive, his yearning voice even taking over a chapter. An unsettling presence when the family begins its trek home from Parchman, but the truth is he’s been weighing down the patriarch in the family, Pop, for a very long time. Back then they called him Riv, when he was an innocent imprisoned at the wretched slave-farm, where Pop met Richie on the cotton chain gang. Ritchie was just a boy, thirteen, the same age as our male narrator, Jojo (Pop’s grandson). The second apparition – Given – appears whenever Pop’s daughter, Leonie (Jojo’s mother) – our female narrator – is high on drugs. Ritchie and Given were both murdered young, murdered because of the color of their skin. You may not favor the magical realism style of writing, but Ward works it like magic. She invents supernatural beings to vividly express how the history of racism keeps repeating and haunting. She imbues two characters – the alternating narrators, a boy and the mother he can only bear calling Leonie – with super-powers. They can see the ghosts of the racial past so we can. Jojo is the one who breaks our hearts. Leonie is the one who can’t mother. Pop is the tough one whose soul can’t rest. Mam is the sweet one dying of cancer. Michael is the white one, the outsider. To fill in the blanks some more: Jojo is the profound heartbreaker because he’s just a kid expected to be both a man and a mother. His acceptance, sensitivity, caregiving, and abundant love for his three-year-old sister Kayla also uplifts us the most. He sleeps on a pallet on the floor with Kayla to soothe her. Their drug-addicted, physically and emotionally abusive mother is never around, physically or emotionally, unhealthily grieving the violent loss of her protective younger brother, Given. Pregnant at 17 by Michael, she’s the character most complicated, begging us to try to understand her rather than like her. Even that’s not easy as she’s so out-of-it she doesn’t notice her children and when she does, she “can’t.” Can’t isn’t poetic but there’s so much baggage and distress loading down all her can’ts. Most evident is her Mama (Jojo’s Mam) is dying. A herbal healer, she can’t heal herself. Jojo and Pop are the carers in this novel (Mam used to be but now she’s bedridden). Grandparents gave Jojo a place to call Home. Home is more than a physical place, it’s the place where we’re cared for. Ward wants us to know this even before we begin the novel, through a lovely dedication to her mother: “who loved me before I took my first breath. Every second of my life, she shows me so.” The concept of Home looms large. Baby Kayla’s clinging, hugging, nuzzling, longing to be “smushed” fills the pages, meant to not only consume her and Jojo but us. Unconditional love and belonging are strong tools that might help weaken some of Leonie’s can’ts. Jojo and Pop’s nurturing are the lightness, as is the beauty of the saltwatery, marshy landscape and Mam’s growing garden. We’re searching for Hope yet keep bumping up against the stark contrast between the richness of the fertile soil to nourish versus the deprivation of the “black-soiled heart of the State” personified by Parchman. Mississippi is our hungriest State, the second poorest. Sing, Unburied, Sing sings those Mississippi Blues. Music we should all be listening to right now. 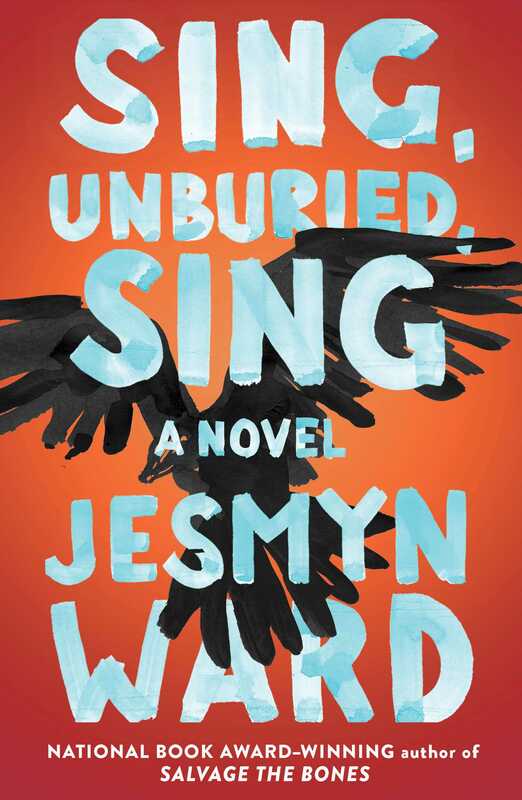 Congratulations, Jesmyn Ward! For just winning the 2017 National Book Award.